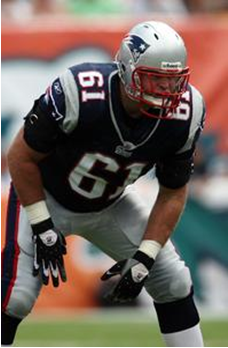 The New England Patriots have announced that offensive guard Stephen Neal has retired from professional football. Neal was a 1999 World champion in freestyle wrestling for the United States, and a 1999 Pan American Games champion. He was also a U.S. Nationals champion and a runner-up at the 2000 U.S. Olympic Team Trials. In college, he was a two-time NCAA Division I national champion and four-time All-American for Cal-State Bakersfield, winning titles in 1998 and 1999. He won the 1999 Dan Hodge Trophy as the nation’s top collegiate wrestler. Neal also finished second at the 1997 NCAA Division I Championships and fourth at the 1996 NCAA Division I Championships. Neal did not play football in college.